Isn't this charming?! 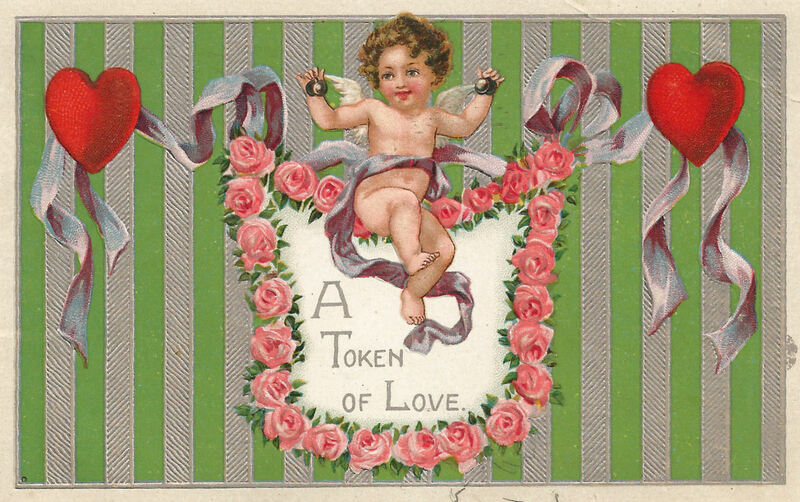 I love the graphics on this vintage Valentine's Day greeting postcard with the happy, little cupid. 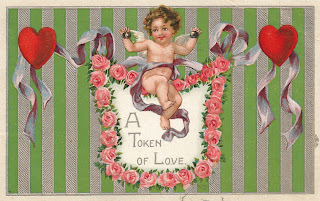 This would definitely make a beautiful and fun Valentine's greeting card or gift tag for a lovely gift. I hope you enjoy!